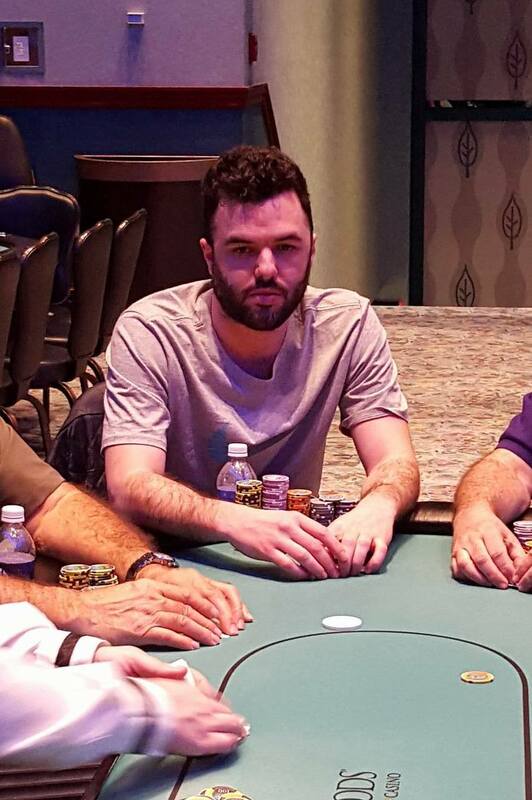 Matthew Wantman has the chip lead of Flight B, by a wide margin. 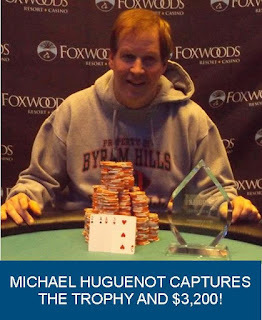 He bagged 249,500, which is the highest of both flights. (Je Wook Oh bagged the Flight A chip lead with 208,100). Other players to bag in this flight include Brad St. Vincent, Nick Palma, Carlo Sciannameo, Steve Tabb, Chris Tryba, Michael Guzzardi, Mike Nye, Steve Happas, and Steven Brackesy. A full list of all players will be posted later this evening. The clock has been paused with ten minutes remaining, and the players will play a final four hands before bagging and tagging for the night. There will now be a 15 minute color up break. 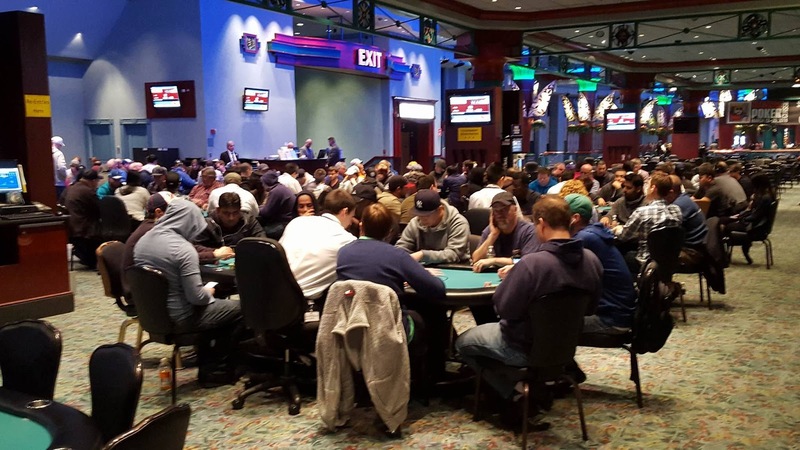 Players will return to play the final level of the night (400/800 blinds with a 100 ante). At the moment, there are 53 players remaining, and a grand total of 98 entrants in today's Flight B. There are currently 173 runners in this evening's $250 NLH Super Stack Turbo Event. 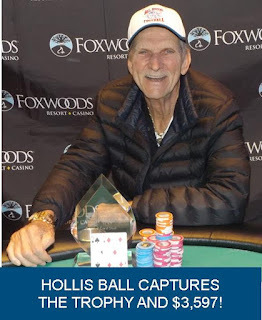 This event boasts a $25,000 Guarantee with re-entries. Players started with 40,000 in chips, and levels last 15 minutes. They are currently playing level 8 (250/500 blinds with a 75 ante). Anyone wishing to enter/re-enter has until the start of level 11 to do so. Two Mega Super Satellites Added (Tonight and Tomorrow)!!! Win your way into the $2,700 Championship event with two added satellites tonight and tomorrow. Tonight at 9:00pm, and tomorrow (Sunday) at 6:00pm. 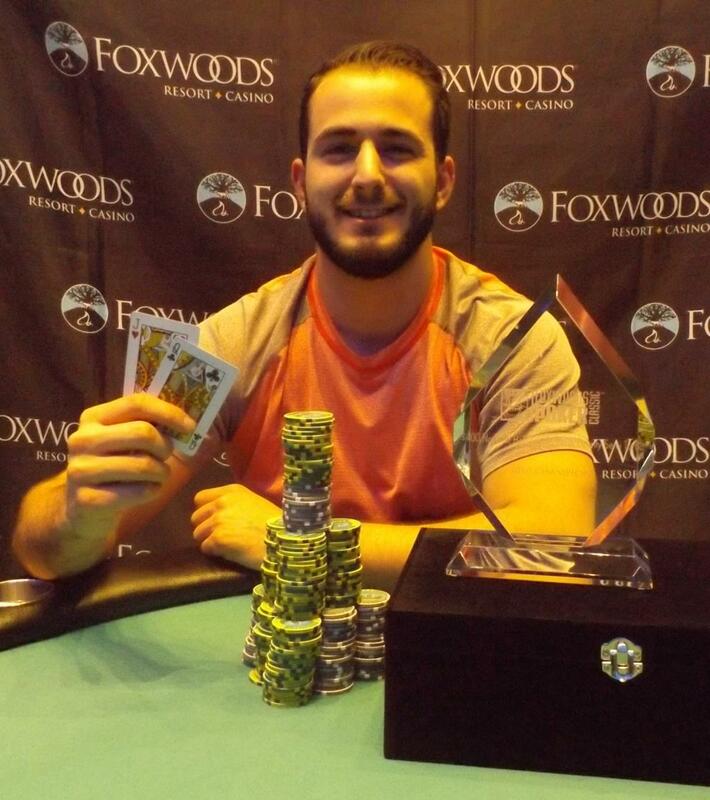 1 seat guaranteed tonight, and 2 seats guaranteed tomorrow! We are currently less than five minutes away from dinner break. 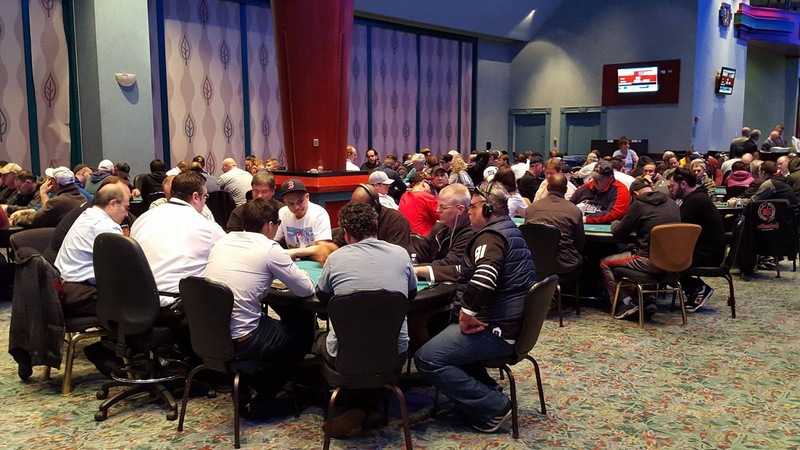 Players will return after their 60 minute break to play 250/500 blinds with a 50 ante. We currently have had 89 entries in today's Flight B, and there were a total of 69 entries yesterday. Anyone wishing to enter has until the start of Day 2 (11:00am Monday morning) to do so. Get here and get your piece of the $500,000 guarantee! 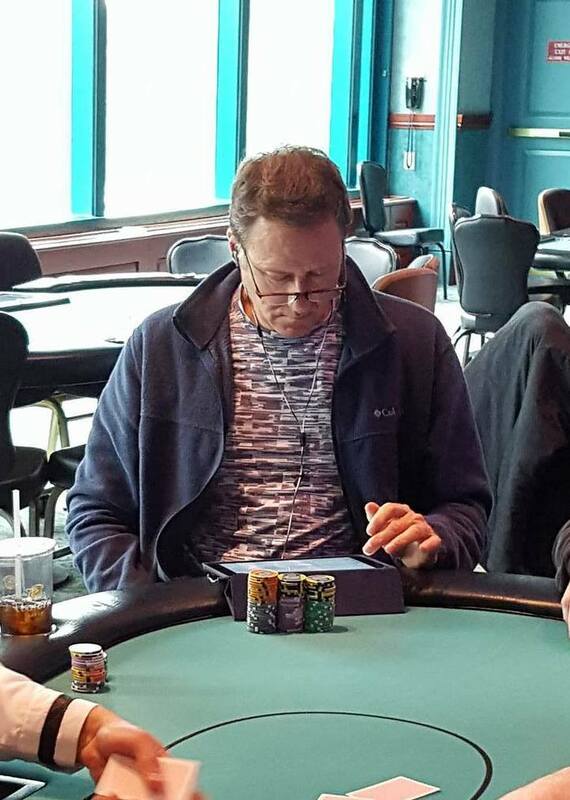 On a board reading [8s][5c][4c][5d], Steven Tabb has pushed his stack of chips forward, and his opponent has done the same. His opponent turns over [ks][kd] for two pair, but Tabb has turned a full house holding [8c][8d]. The [3c] comes on the river. 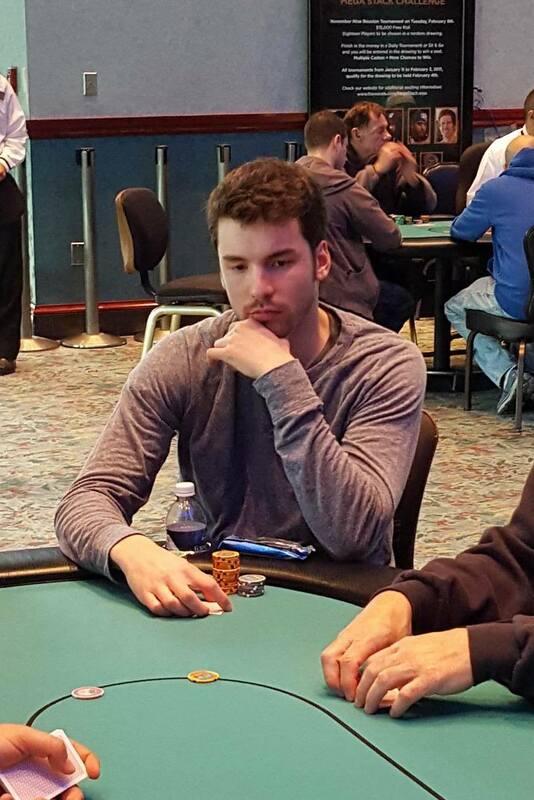 The dealer counts the chips stacks carefully, and after Tabb's full double, his opponent is left with 1,100 in chips. Players are now on their first 15 minute break of the day. They will return to play level 3 with 100/200 blinds. After getting it all in with two other players, Rene 'Rod' Rodriguez is now the early chip leader with just under 90,000 in chips. According to his table, Rodriguez got it all in holding pocket aces, against an opponent's pocket kings, and another opponent's ace-queen. His aces held up, and he is now sitting with nearly three times the starting stack. The second and final flight of Event #20 is now under way. Players are starting with 30,000 in chips, and blind levels will be 60 minutes in length, with a break ever two hours. There will be a 60 minute dinner break after level 6, and play will conclude for the day after level 9. Anyone wishing to enter/re-enter can do so all the way until play starts on Day 2 (the beginning of level 10). Day 2 play starts on Monday March 28th at 11am. Structure and information can be found here.